The 2017-2018 Bulldog Wrestling schedule has been released. Click here to view it and make plans to come support the Bulldogs! 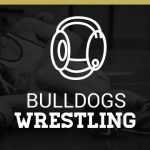 Last week the Pendleton Bulldogs Wrestling team took on St. Josephs (twice), Wren, Greenville, Travelers Rest and Easley. The Bulldogs won 4 out of the 6 matches, making the week a great start to the 2016 season. Special Recognition goes out to: Asa Addison who won all 6 matches and pinned 5 of the 6. The Pendleton Bulldog’s wrestling schedule has been released. Click here to find the schedule. Plan to come out and support your Bulldogs!